Only give your players relevant information! It is possible that you experienced some problems on my site yesterday and I are awfully sorry if this has caused a problem for you. We have had some technical problems but my team has been working very hard to fix this and I can now happily report that everything is back and working perfectly again. The reason I find this email kind of strange is that I haven’t played on the site when they had problems so why tell me about it? If I worked at SuperLenny.com and would want to inform my customers (players) about having problems with the site then I would only send the info to the players that actually visited the site (that info should be very easy to find out). Image 1. 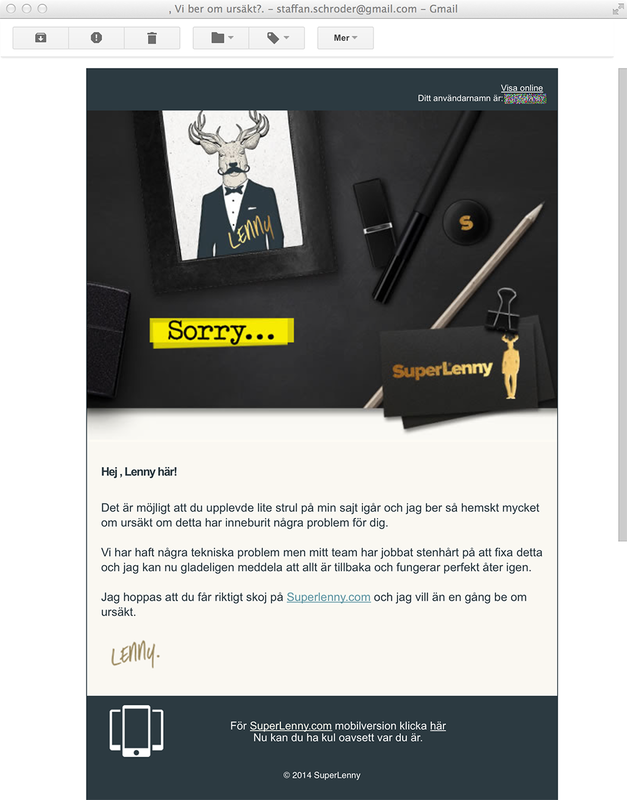 The email from SuperLenny.com.